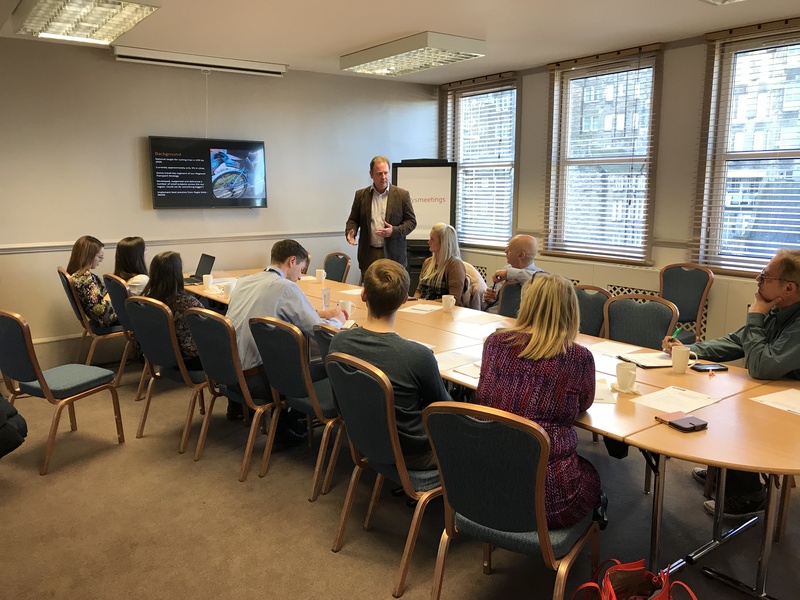 SEStran held the fifth REGIO MOB Stakeholders’ Meeting at the Jury’s Inn in Edinburgh at the end of November 2017. During the meeting, Jim Grieve, Head of Programmes at SEStran, presented the best practice examples from Slovenia; Park and Rides, and the preparation of Sustainable Urban Mobility Plans (SUMPs), and the best practice examples from Romania; Car Sharing and E-Bike Net. Clare McTigue from Napier Transport Research Institute, who attended the study visit in Poland, presented the polish best practice examples; Fast Agglomeration Railway, and the Tele-Bus. Karen Brown, from the Flow Centre at NHS Lothian, who attended the study visit in Spain, presented the Spanish Best Practices; Bus+Bici Service and Coordination of Sustainable Mobility Strategies at Regional Level. The meeting was then concluded by Keith Fisken, Business Partner at SEStran, who presented the next Phase of the REGIO MOB project; implementing a regional e-bike sharing scheme alongside the Italian best practice PASTA, which was presented to the partners in Rome. SEStran will be conducting Active Travel Audits before and after the implementation of the PASTA project to allow monitoring of the project and assessment of the best practice implementation. SEStran will be working with key partners across the region to deliver e-bike pilot schemes in Fife, West Lothian and Forth Valley. This exciting project will be a first in Scotland. It will enable people to join one scheme and access bikes for commuting and fun. The e-bike hubs will connect journeys enabling links between different modes of transport and making your journey more active and sustainable. Crucially, our Active Travel Audits will monitor our progress, linking health indicators alongside active travel initiatives in the South East of Scotland.